News Bite: The most common musculoskeletal condition affecting 84% of adults is low back pain. 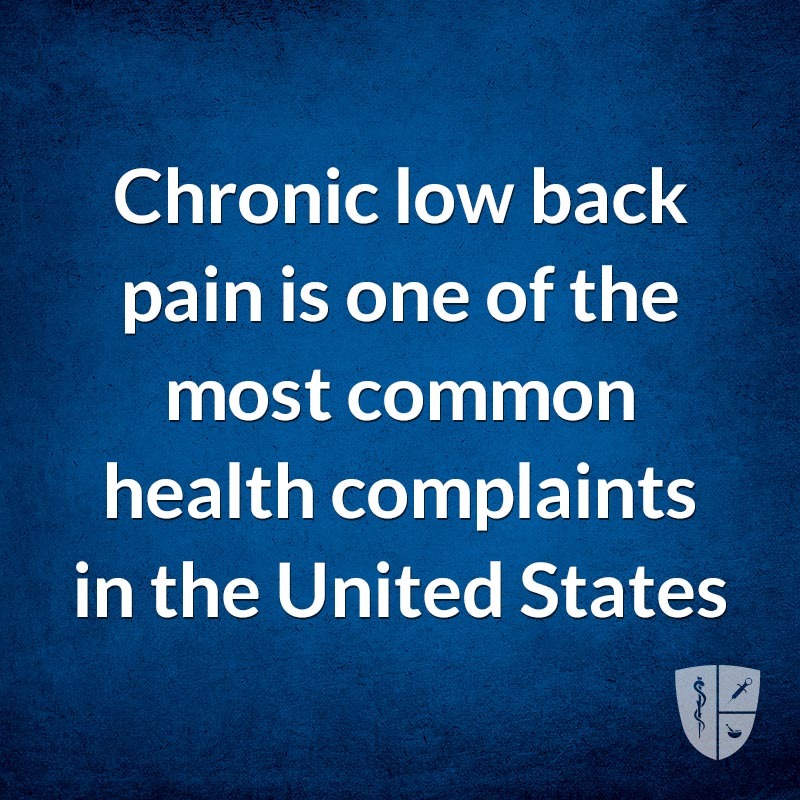 Chronic low back pain (CLBP), has well defined pathological causes and is more than a persistent symptomology. CLBP has increased 100% in the last decade and continues to increase. The diagnostic evaluation for CLBP can be very challenging and requires complex decision making. The notion that the etiology of 80% to 90% of LBP cases is unknown has been mistakenly perpetuated across decades. In most cases. Low back pain can be attributed to specific pain generators each with its own characteristics and with different therapeutical opportunity. The article referenced here discuses radicular pain, facet joint pain, sacro-iliac pain, pain related to lumbar stenosis, discogenic pain, offering a simple guidance to identify pain generators. Low back pain (LBP) is the most common musculoskeletal condition affecting the adult population, with a prevalence of up to 84%. Chronic LBP (CLBP) is a chronic pain syndrome in the lower back region, lasting for at least 12 weeks. Many authors suggest defining chronic pain as pain that lasts beyond the expected period of healing, avoiding a time criterion, however, this definition is very important, as it underlines the concept that CLBP has well-defined underlying pathological causes and that it is a disease, not a symptom. This article aims to provide a brief clinical guide that could help in the identification of pain generators through a careful anatomical description, thereby directing clinicians towards the correct diagnosis and therapeutic approach. CLBP represents the second leading cause of disability worldwide being a major welfare and economic problem. The prevalence of CLBP in adults has increased more than 100% in the last decade and continues to increase dramatically in the aging population, affecting both men and women in all ethnic groups, with a significant impact on functional capacity and occupational activities. It can also be influenced by psychological factors, such as stress, depression and/or anxiety. Given this complexity, the diagnostic evaluation of patients with CLBP can be very challenging and requires complex clinical decision-making. Answering the question “what is the pain generator” among the several structures potentially involved in CLBP is a key factor in the management of these patients, since a mis-diagnosis can generate therapeutical mistakes. Traditionally, the notion that the etiology of 80% to 90% of LBP cases is unknown has been mistakenly perpetuated across decades. In most cases, low back pain can be attributed to specific pain generator, with its own characteristics and with different therapeutical opportunity. Here we discuss about radicular pain, facet joint pain, sacro-iliac pain, pain related to lumbar stenosis, discogenic pain. This article aims to offer to the clinicians a simple guidance to identify pain generators in a safer and faster way, relying a correct diagnosis and further therapeutical approach.